When people think of video baby monitors, a lot of new parents think that they will mainly use it when their child is sleeping. However, you will quickly realize that there are many more uses than just during the night. Some of the most convenient times to use it are during the day when your child is taking a nap, or any time when they are relaxing or playing. Most of the time your baby’s room will be just down the hallway from your room, so distance isn’t an issue during the night. However, when you’re at home during the day, there’s a good chance that you are going to want to do things at your house while your baby takes a nap. Sometimes you will have to go outside, which can be a couple hundred feet away from the central camera. You definitely don’t want to have a video baby monitor with a short range, because then you’ll be restricted as to how far you can be away from it. 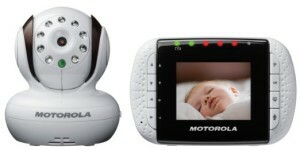 Depending on the size of your house or apartment, you may not need a video baby monitor with the longest range. However, it’s always nice to have one just in case you need it. You have to remember that the distance that’s advertised on the video baby monitor is generally when there are no obstacles. For example, it the advertised range is 300-feet, then that distance will be shorter if the frequency has to go through walls, furniture or other objects. It will still be fairly accurate in most cases, but it’s something to keep in mind when you are doing your research. How Far Do You Need? If you live in an apartment, then the distance probably isn’t as much of a concern for you. Since you won’t have to go out and do things in a yard, you will likely just need a shorter distance of maybe 200-300 feet. However, if you live in a house, the required distance is going to be much higher. It’s recommended that anyone who has a house buy a video baby monitor with a range of at least 400-500 feet. The distance can add up quickly, and you won’t realize how much you actually need until you start moving around. It’s always best to have enough rather than limit yourself. When you think about a long distance video baby monitor, you should immediately think of 500+ feet of range. Believe it or not, there are actually quite a few of them on the market, so the prices are pretty competitive. Depending on the other features that come with the individual monitors, you can get one for a pretty reasonable price and still get a good quality product. We’ve done a lot of research on different monitors and came up with one of the best ones that you can find with long distance and other convenient features to go with it. This is one of the most popular video baby monitors in the industry for a variety of reasons. One reason is because the Motorola brand is one of the most recognized in the industry. But other reasons include the wireless capability, infrared night vision and multiple built-in alerts. 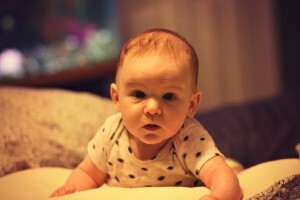 One of the most overlooked features of this video baby monitor is the range that it provides. It claims that it can reach for more than 600-feet, which is unprecedented for this type of product. You can virtually take the video monitor anywhere with you when you are around the house. Unless you live on a big property with a lot of land, there’s a good chance that you will always be in range. Of course, you have to factor in that the distance will be cut down when the transmission is going through walls and furniture, but you will still be looking at a working distance of more than 500-feet. Plus, it has an out of range alert built-in, so you’ll always know when you’re getting close to the end of the range and can walk back a little closer so you won’t miss anything on the screen!